Thinking about a redo for those New Year resolutions you have yet to start? Spring is in the air, the weather is warming and the days are getting longer. What better time to start walking for fitness! One easy way to increase overall activity in your life is to use the 10,000 steps method. This concept originated in Japan; you start by monitoring the activity you do during the day, making you conscious of the number of steps you take. Your goal then is to try to increase your activity and number of steps. The sedentary person usually walks 1,000 – 3,000 steps per day between the house, the car, at your workplace, running errands and returning home. At the end of the day, you may feel as though you’ve been active, but these steps are not enough for meaningful changes in your fitness level. A moderately active person takes 5,000 steps daily. Add a thirty minute walk and the daily steps are increased to about 8,000 per day. The Centers for Disease Control and Prevention recommend 150 minutes of moderate activity, such as brisk walking weekly. This is equivalent to 30 minutes of activity 5 days per week or 7,000 to 8,000 steps per day. Recommendations from the Surgeon General also suggest 30 minutes of activity most days to become more fit and control chronic disease. A study of middle-aged women found that taking at least 10,000 steps a day can help keep weight under control and decrease your risk of overweight-related diseases such as type 2 diabetes and high blood pressure. Walking 10,000 steps covers approximately 5 miles each day. Plain old walking can count as cardio / aerobic exercise if you can get your heart rate up. To do that you can’t just stroll; you need to put some pep in your step and pick up the pace. You can walk outdoors in good weather or walk the perimeter inside shopping malls if it’s rainy. You’ll need a pedometer to count your steps. Use a pedometer over a 5 – 7 day period to determine the average number of steps you normally take each day. Increase that number by 1,000 to 2,000 steps the first week. Each consecutive week, continue to increase your steps by 1,000 to 2,000 most days until you reach the goal of 10,000 steps a day! Make this your goal at least 5 days weekly. A pedometer is convenient to track your steps, you can also estimate your steps by knowing that 30 minutes of brisk walking might add 3,000 – 4,000 steps depending on your height, stride, and pace. Walking twenty minutes is equal to about 2,000 steps. If you have a sedentary desk job, you may need to walk for 60 minutes to reach your goal of 10,000 steps daily. You can break it up and walk 30 minutes at lunch and then 30 minutes after work. 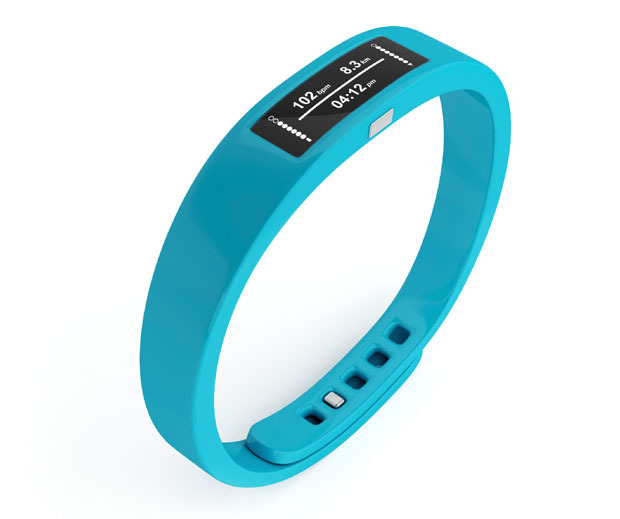 Ten thousand steps is a nice round number to aim for and you can build up gradually to achieve your goal. What is more important is that you get off the couch! Increase your Steps by . . . . Walk the dog if you have one, or walk the kids! The only gear you need is a comfortable pair of shoes. Make sure they provide support and don’t cause blisters. Running shoes with cushioning soles make great walking shoes. Buy shoes made of materials that breathe, such as mesh or with air holes. Some walkers enhance their workout by wearing shoes with weighted soles. These help to improve muscle tone in the lower body and increase the amount of physical energy expended. Exercise or just being on your feet all day can make your feet swell. It’s best to go shopping for shoes in the evening when your feet are larger. If the shoe fits, start walking! Drinking enough water before, during and after walking is important to keep you healthy and hydrated during the activity. Plan to drink about 16 ounces of water 30 minutes to one hour before you walk. Avoid caffeinated beverages before you walk. They actually cause you to lose fluids. During the walk, carry water with you or plan for water stops along the way where you can get a full cup of water. A water fountain may not be able to deliver enough water to get an adequate amount. If you are sweating more than usual, drink more water than usual. After you walk drink another tall glass of water – about 16 ounces. Plain water is best. Sports drinks and sodas are often not as thirst quenching and add unwanted calories. Staying hydrated will keep your energy level up and keep you motivated! Eating a small snack before your walk is a good idea. Plan to have your snack 30 minutes to one hour before your walk. The best snack is a balance of carbohydrate and protein like whole wheat crackers and peanut or almond butter. Combining carbohydrate with protein helps to stave off hunger longer and give more energy. If you plan to walk longer than an hour or two, be sure to pack a snack to take with you. Protein bars are abundant. They are easy and convenient to carry with you; but which are the best? Use this rule of thumb – look for bars under 200 calories with 10-15 grams protein, and less than 10 grams of sugar. They can offer balanced nutrition and not interfere with your fitness or weight loss goals. Don’t eat like you are preparing for a marathon. Too many walkers walk for 30-60 minutes, but eat like they are elite runners. Eating too much before, during and after you walk is an easy to do. Don’t trick yourself into thinking that you are exercising and expending more calories than you really are. Adding just 75 minutes of walking each week can add 2 years to your life! What are you waiting for? Walking is so simple and can be very powerful. A small investment of your time can result in numerous benefits. It can change your body, your health, and your mind. So why are you still sitting?